Project Manager Sheree Marris sat down for lunch with the talented and witty journalist Lawrence Money to share her marine conservation initiatives which include the Melbourne Down Under campaign. The lunch was a fabulous mixture of hilarious stories from both Lawrence and Sheree. Lawrence even picked up some of Sheree’s fishy puns which was used as the headline with great impact. 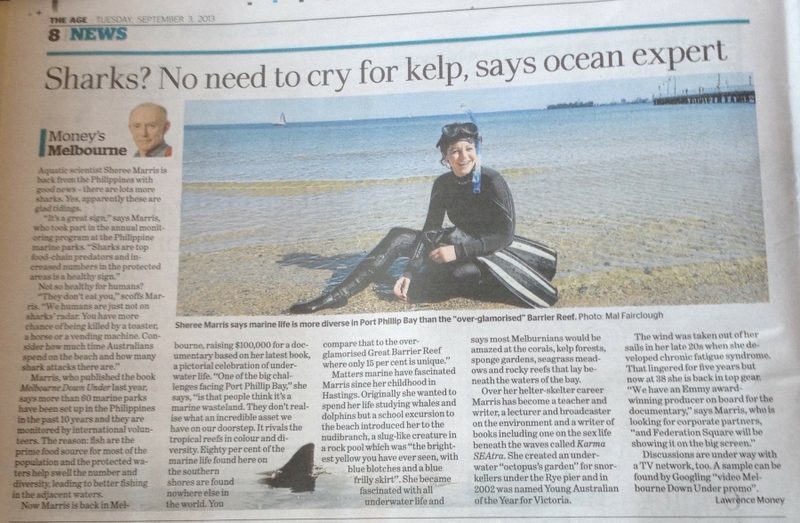 Thanks Lawrence for the wonderful article and your support with the Melbourne Down Under campaign, our fishy friends thank you.